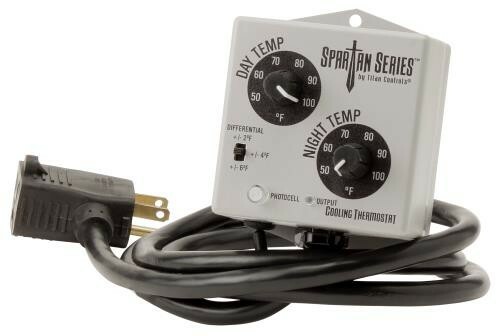 The Cooling Thermostat features: Day & night temperature settings, adjustable differential from +/- 2°F to +/- 6°F, LED output indicator light and an accurate external temperature probe. For use with exhaust fans. 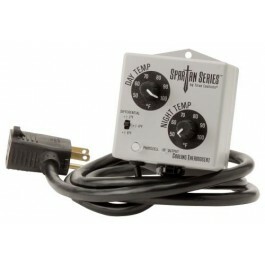 Housed in a rust, dust and water resistant enclosure, this controller will function in the harshest environments. Ratings: 12 Amps maximum/120 Volts/60 Hz.